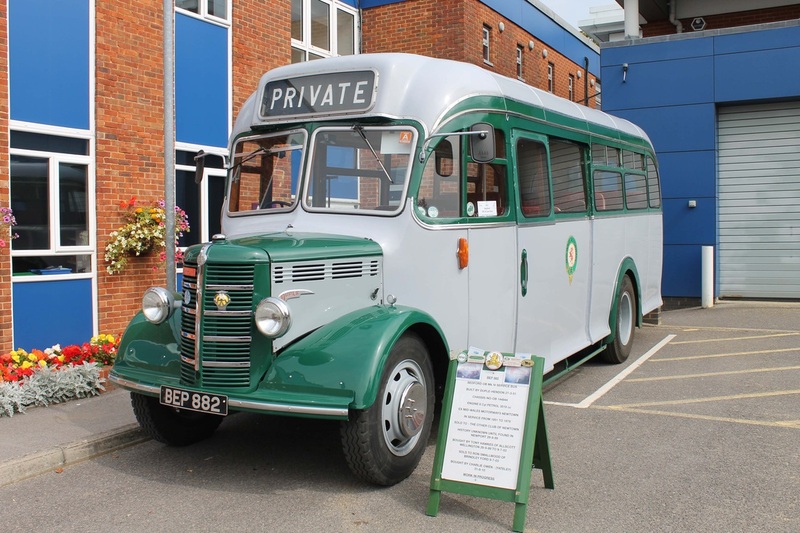 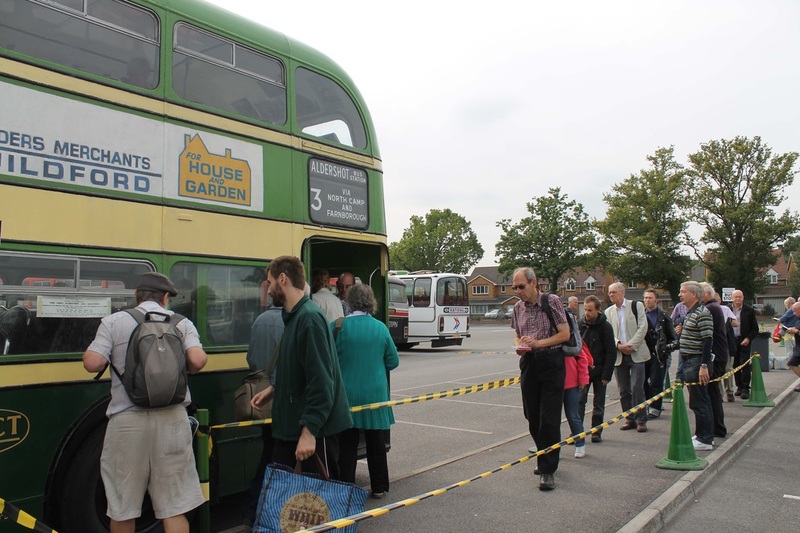 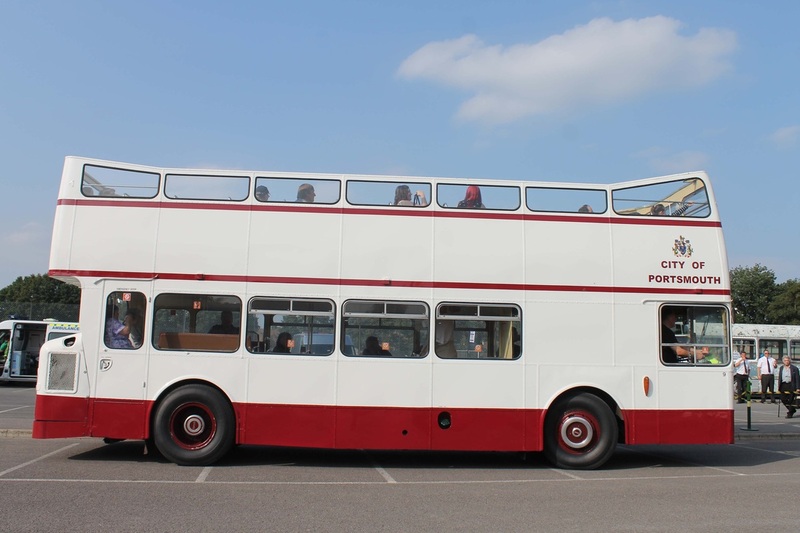 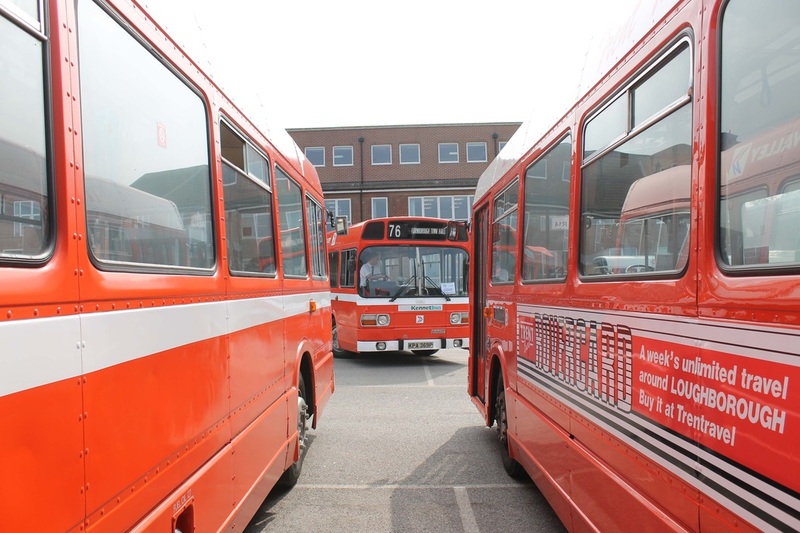 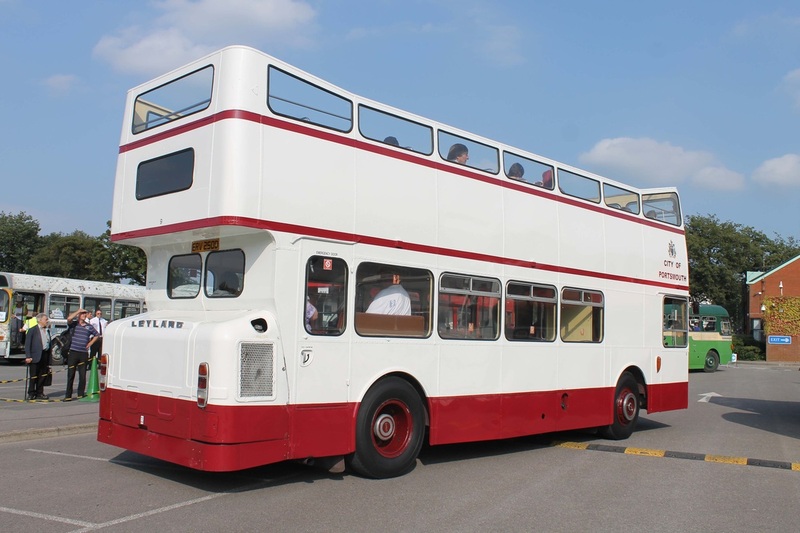 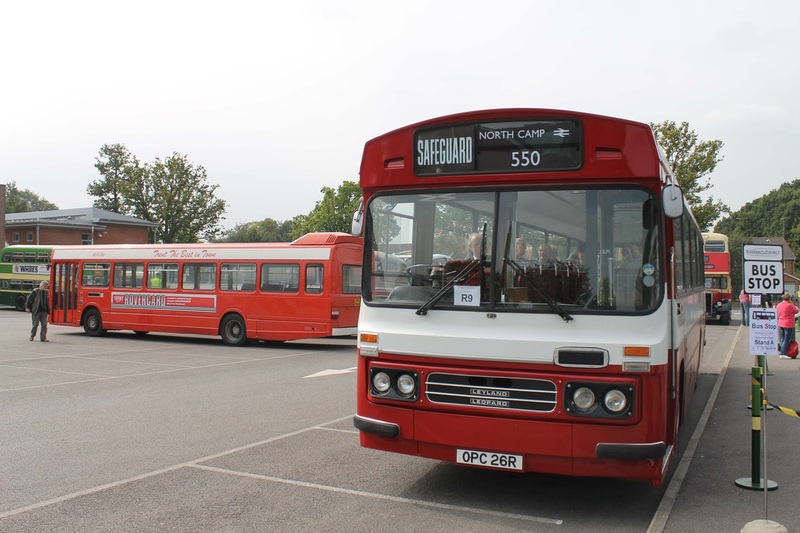 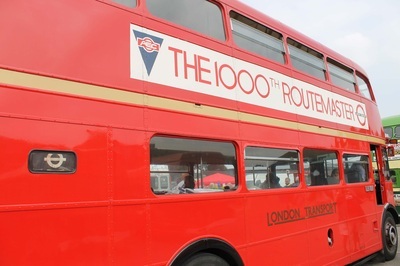 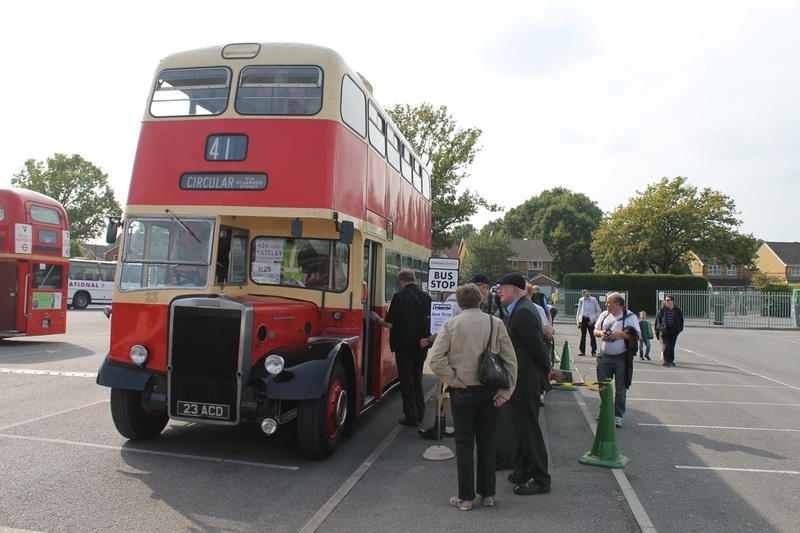 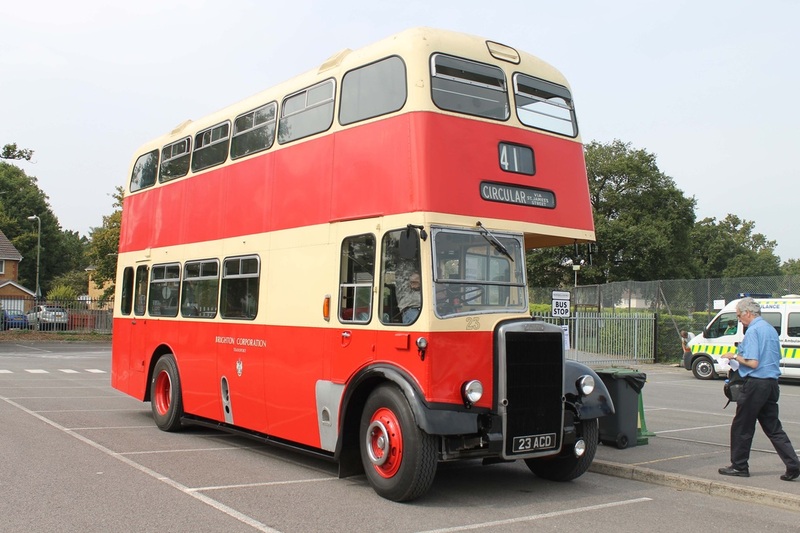 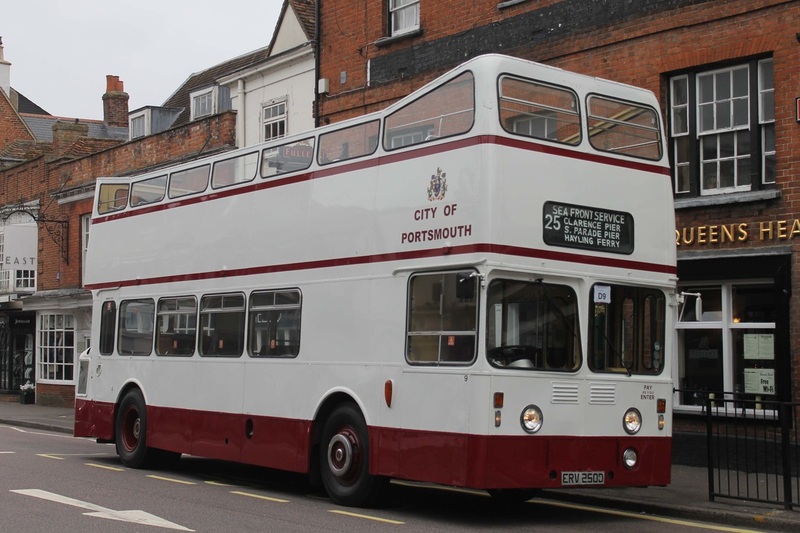 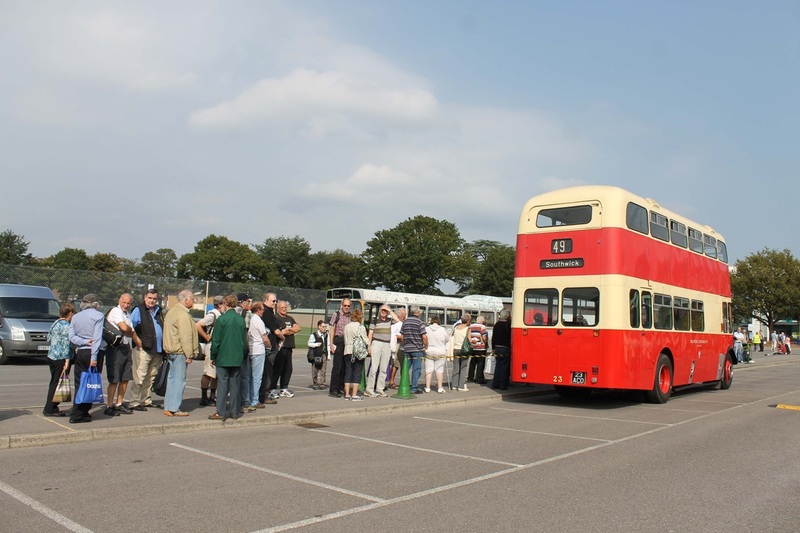 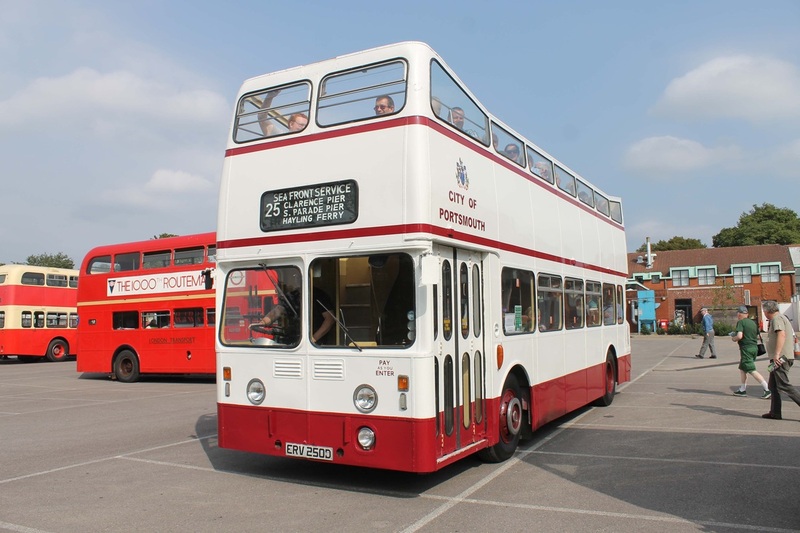 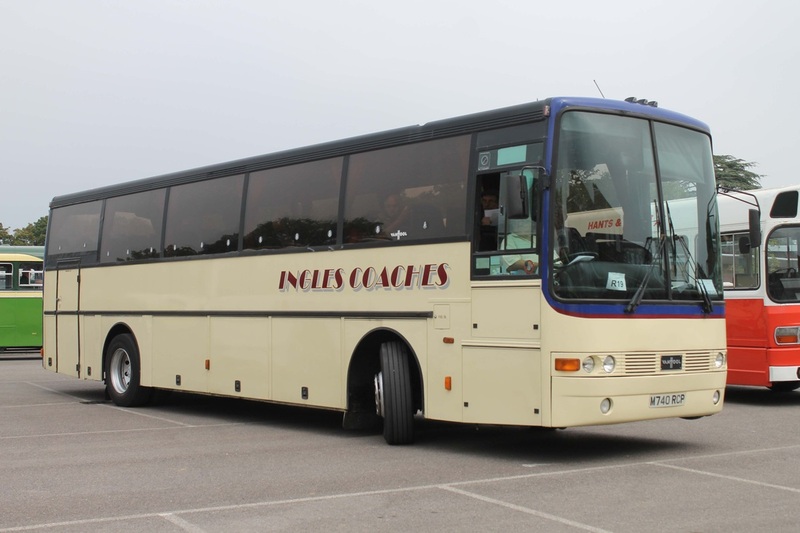 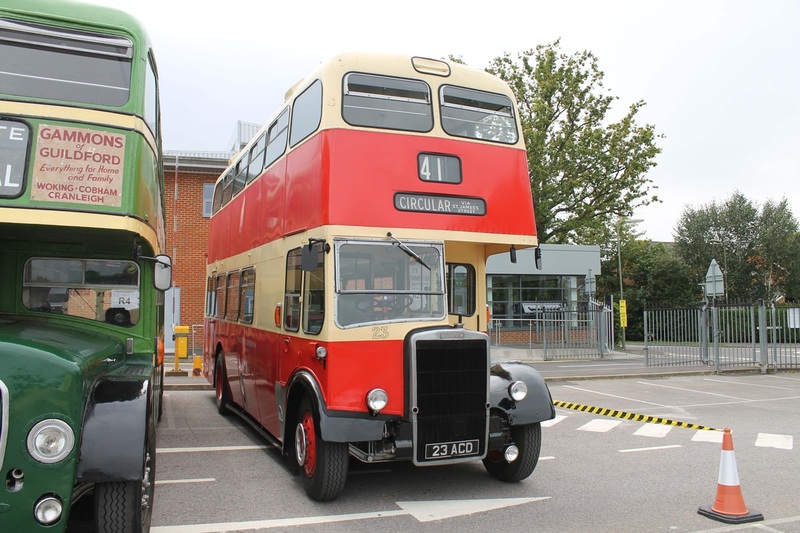 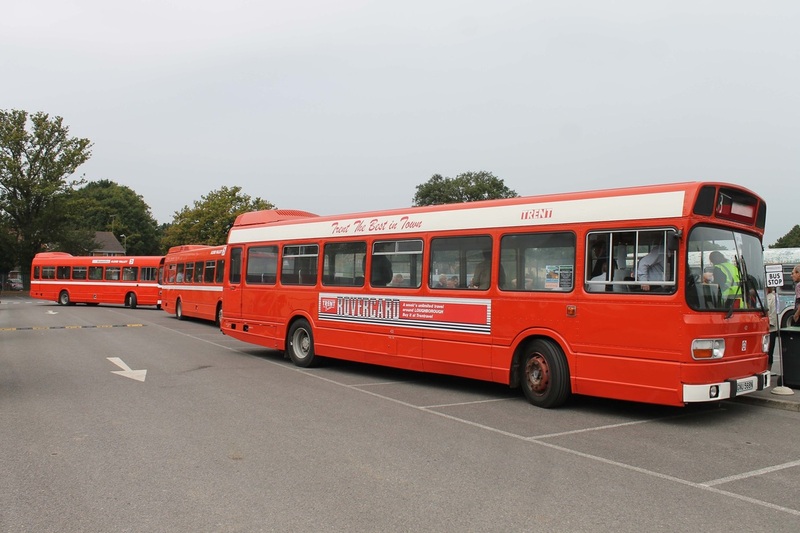 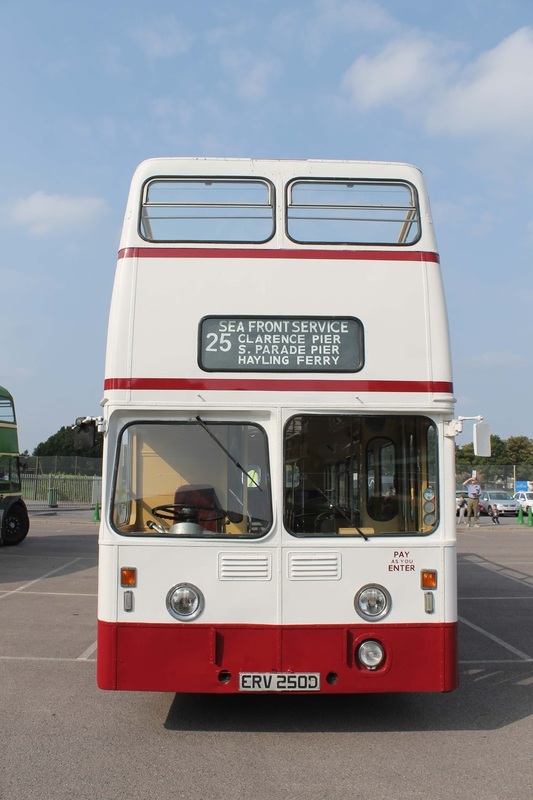 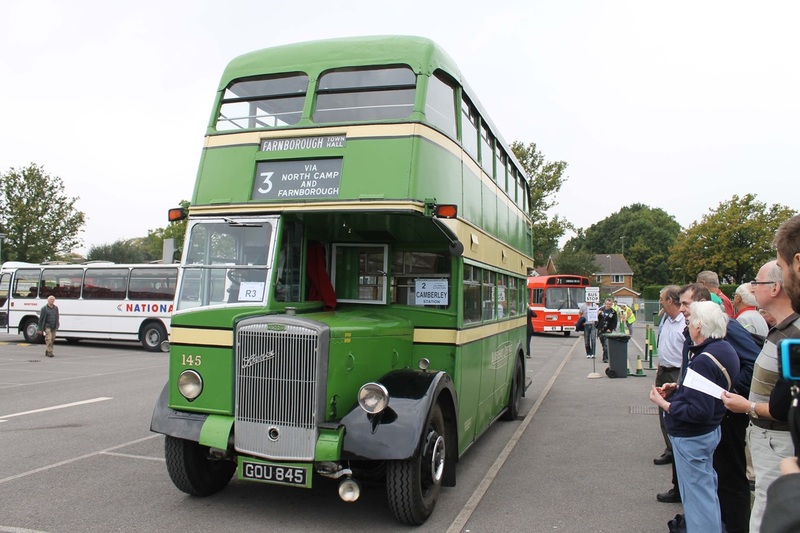 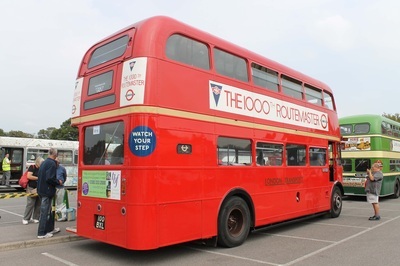 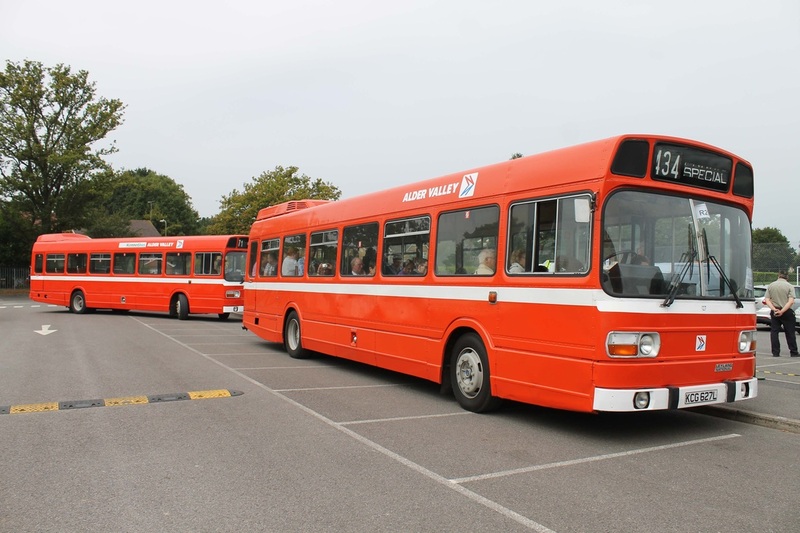 This was the first time that we had visited the Farnborough Bus Rally. The day started very gloomy but by midday the sun was shining and it seemed that the small site of Farnborough Sixth Form College had filled with many enthusiasts and families. Throughout the day a number of vehicles were on static display whilst a selection of stalls were selling a wide range of different goods. 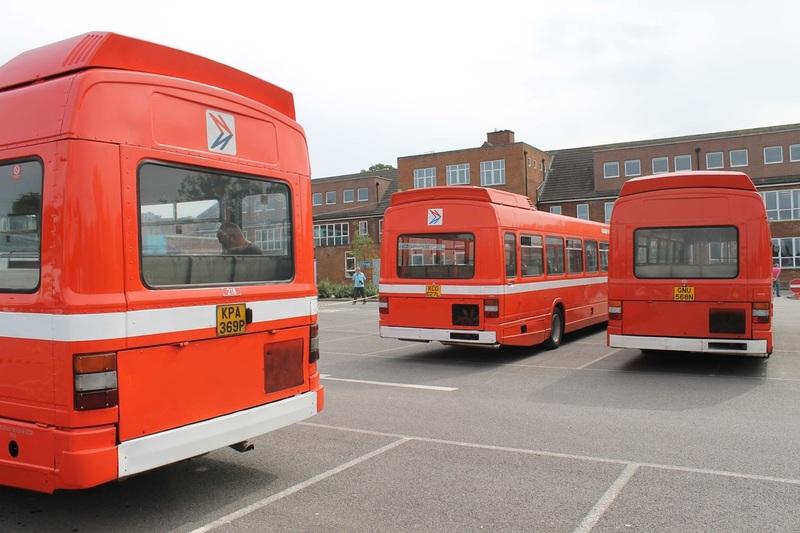 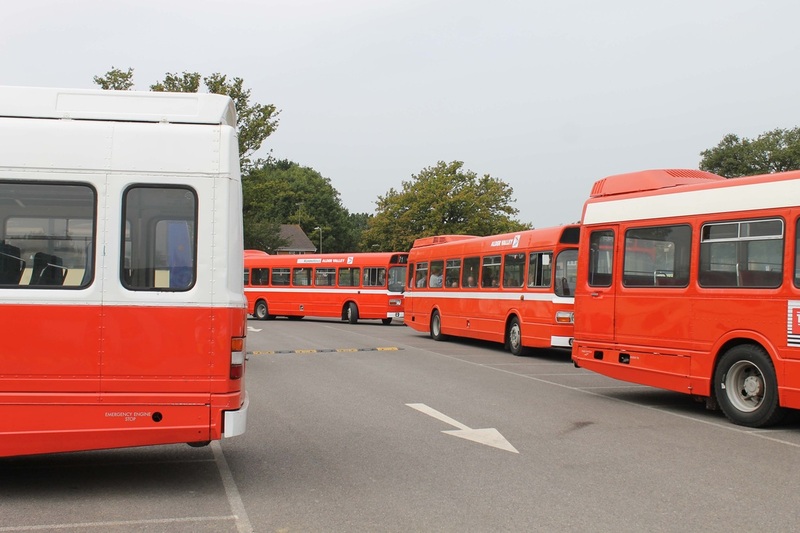 On the otherside of the site over 160 bus trips were made covering surrounding areas such as Cove, Aldershot, Bagshot and North Camp. 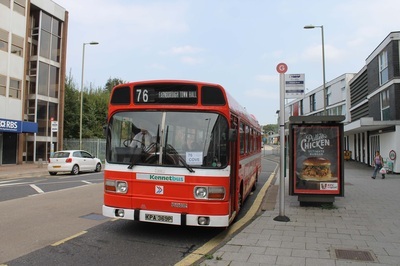 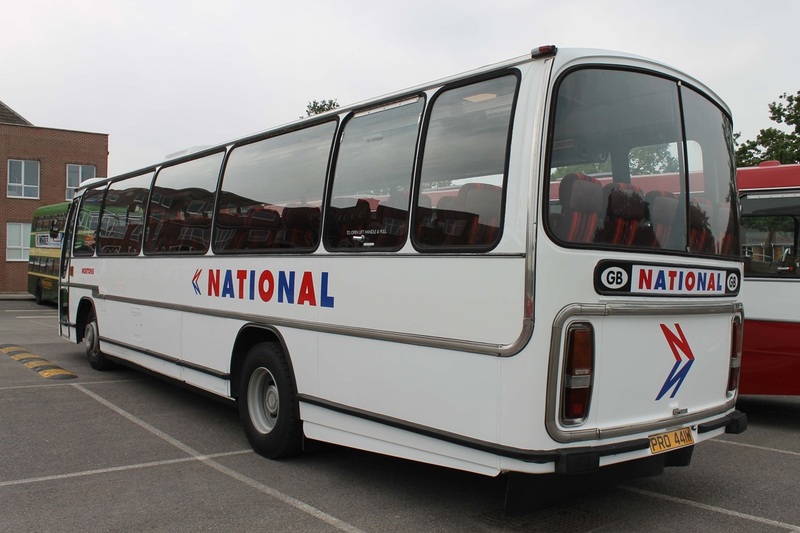 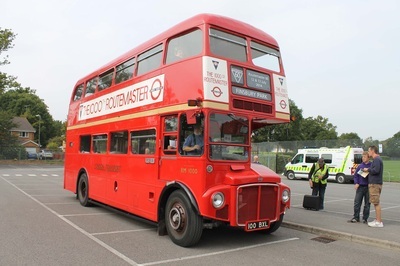 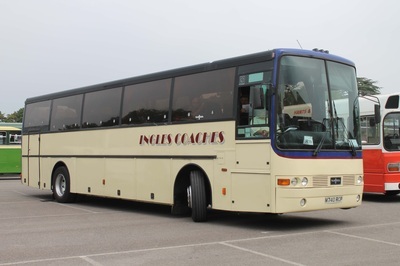 Town services were also operated throughout the day and with the great weather and a large number of people asking for a ride we chose to do two trips with no.9 from the site to Farnborough Main Station. No.9 was very popular and carried a full load on both trips. 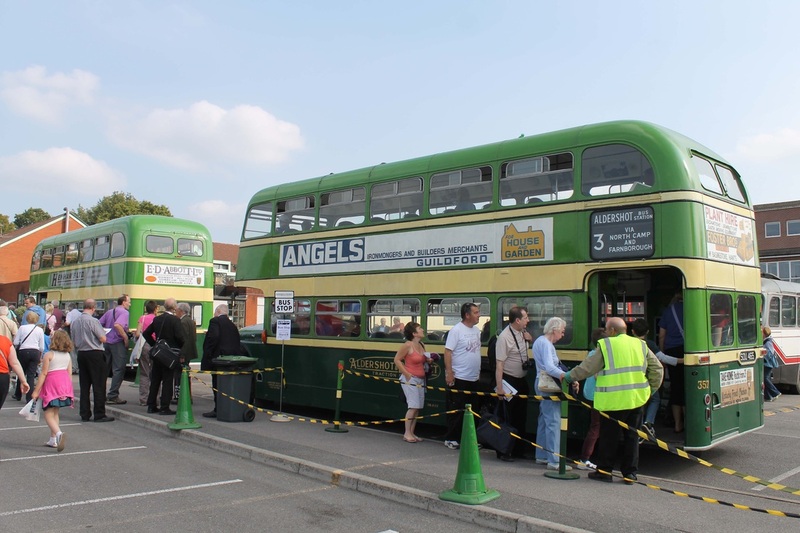 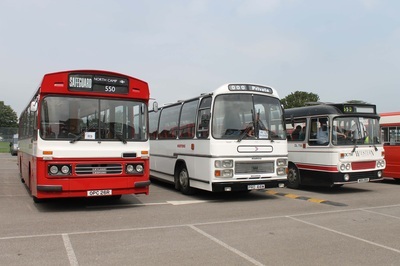 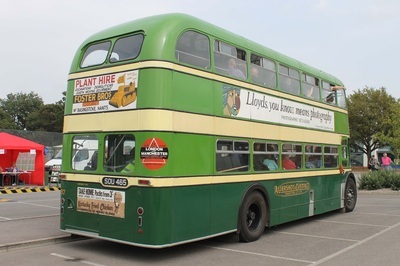 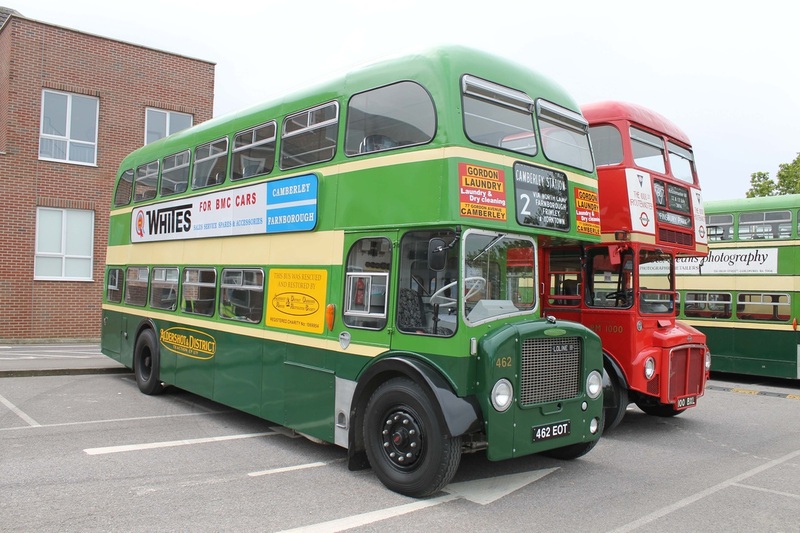 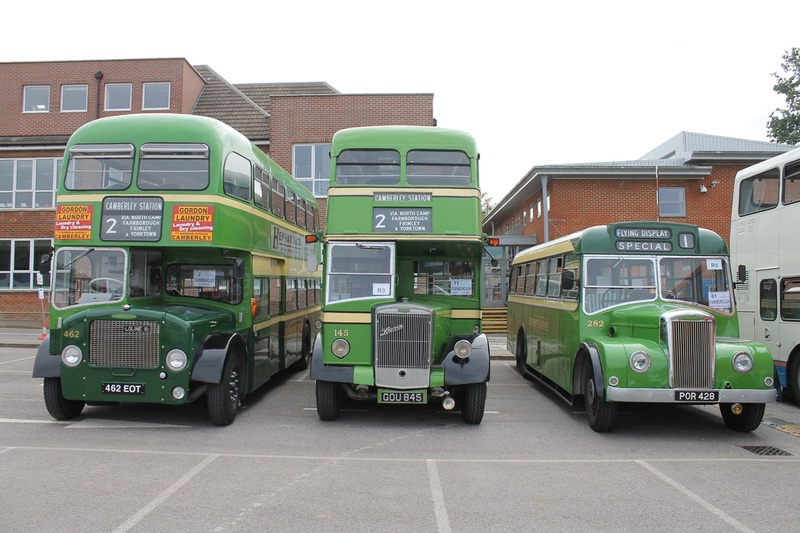 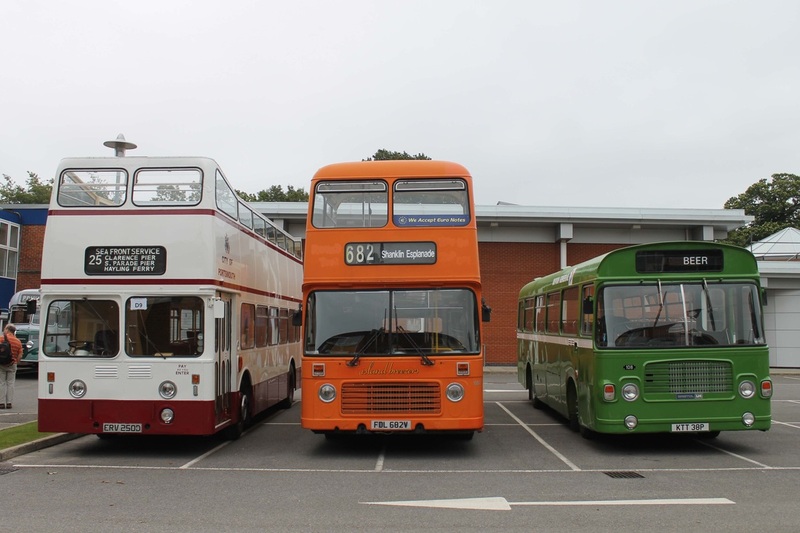 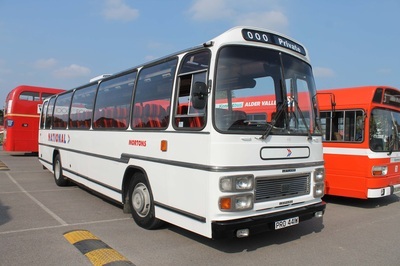 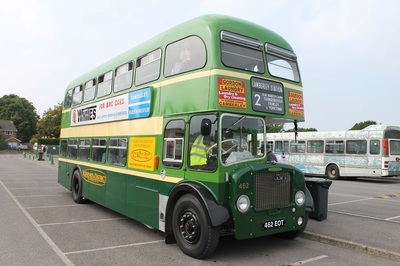 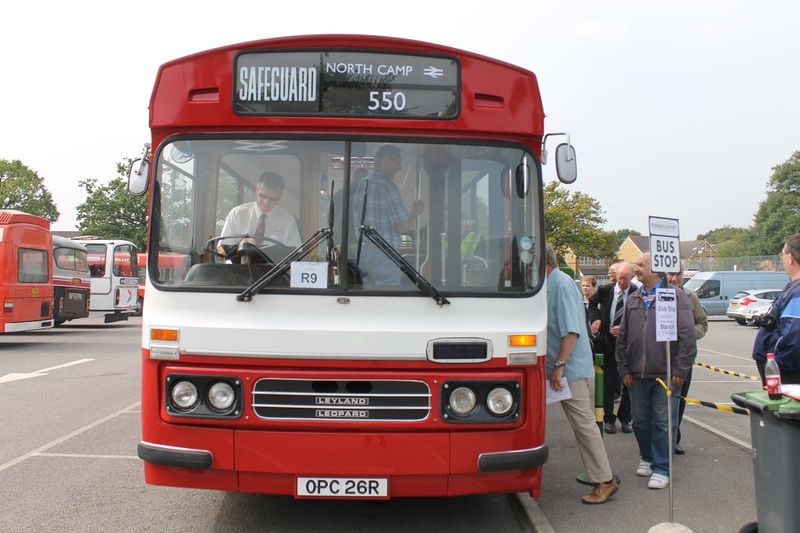 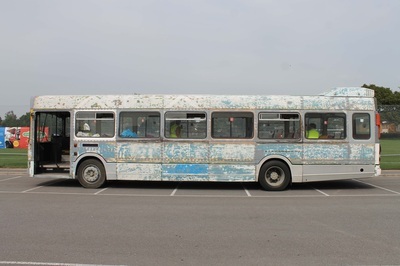 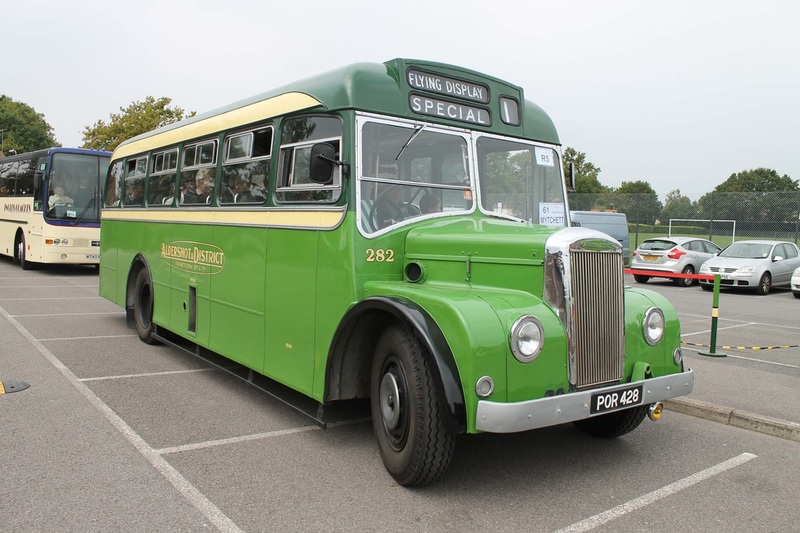 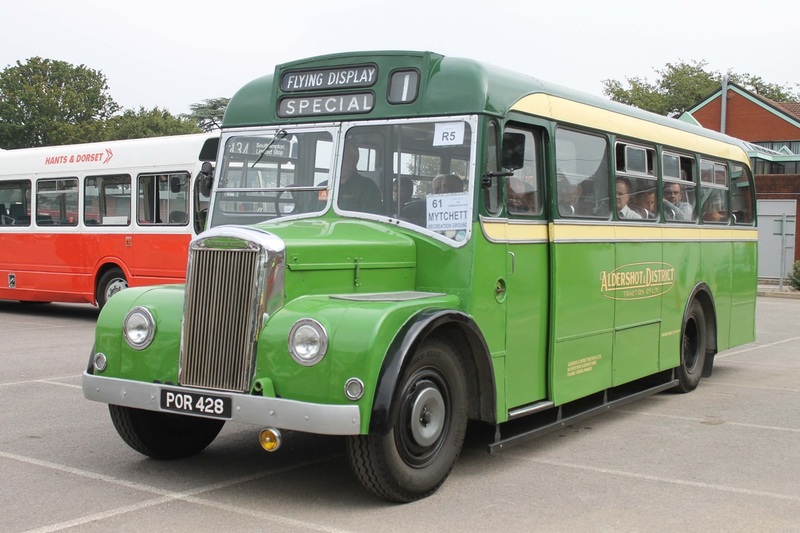 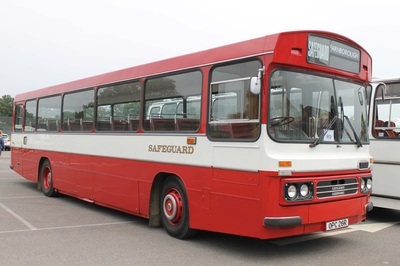 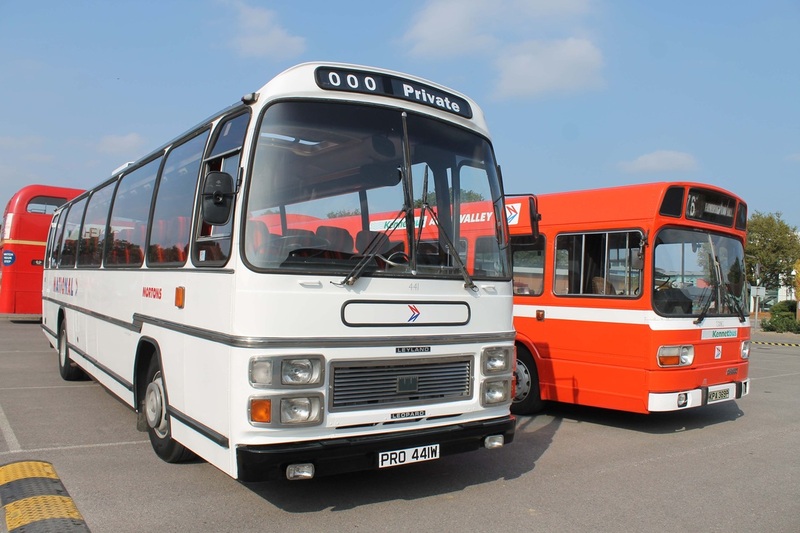 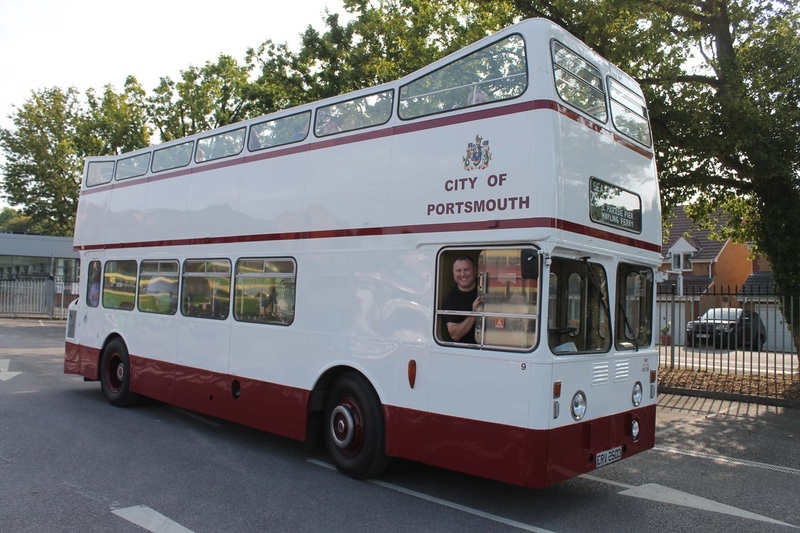 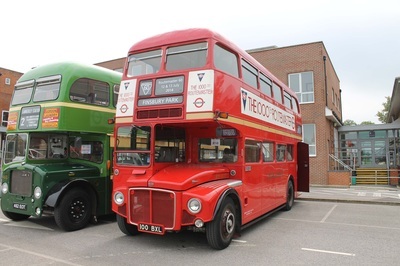 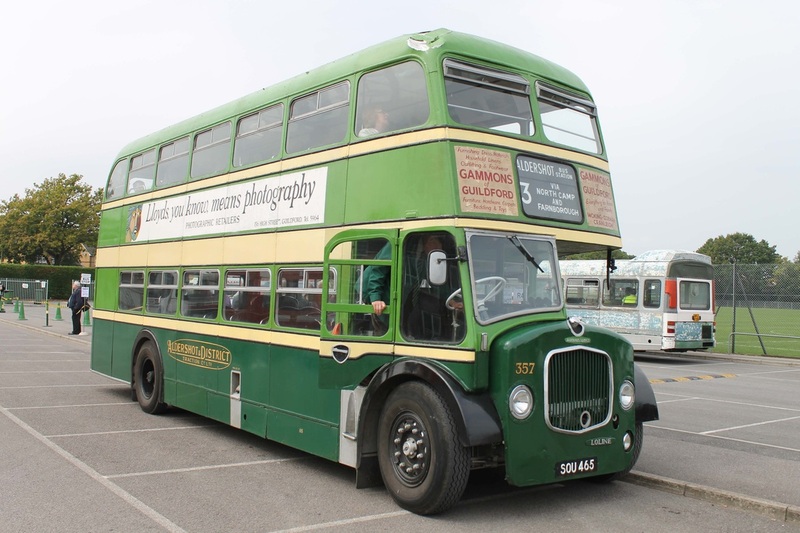 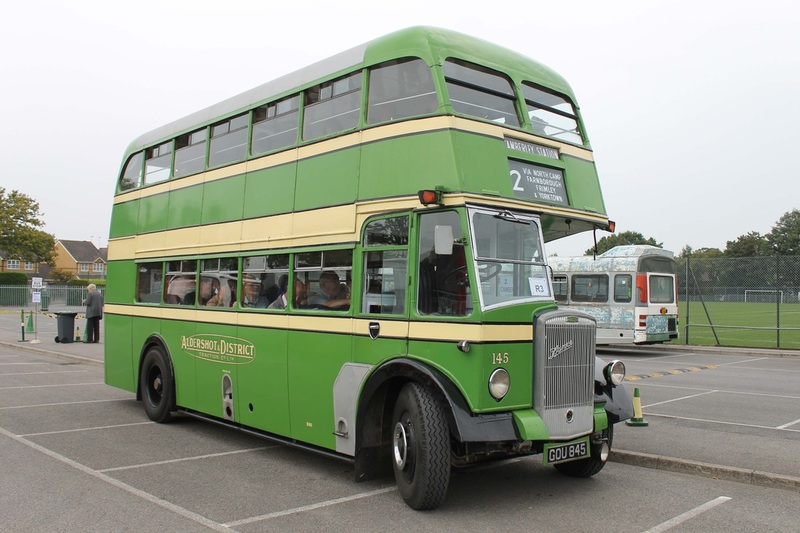 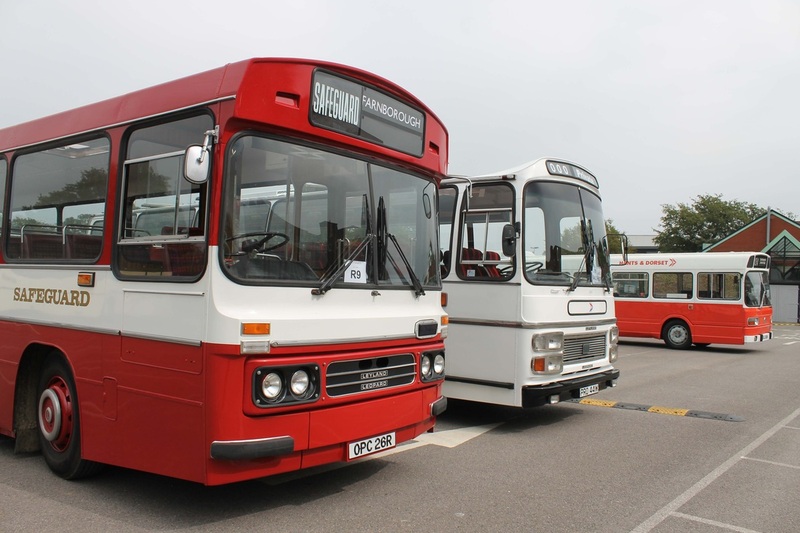 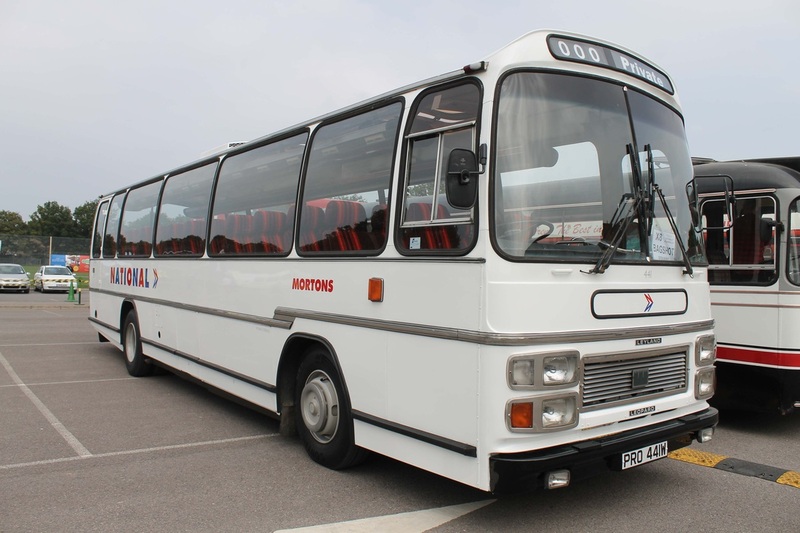 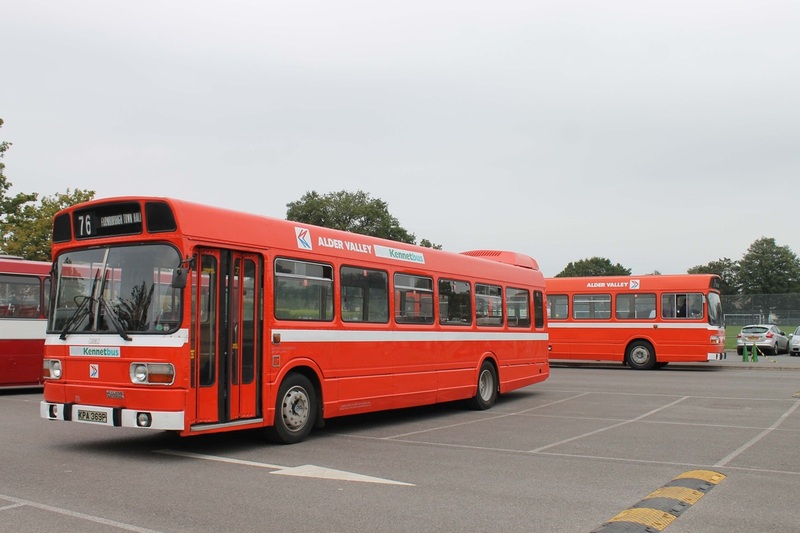 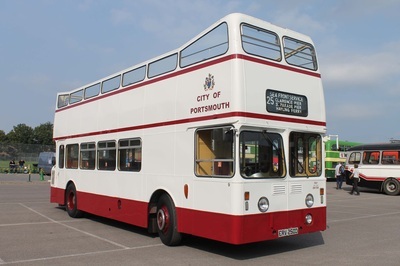 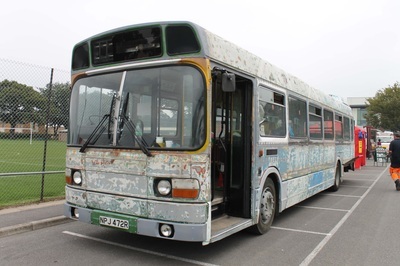 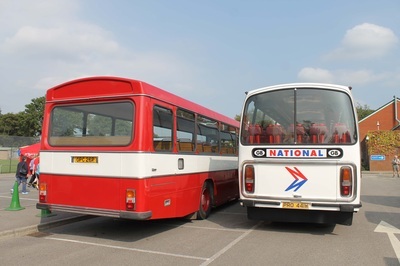 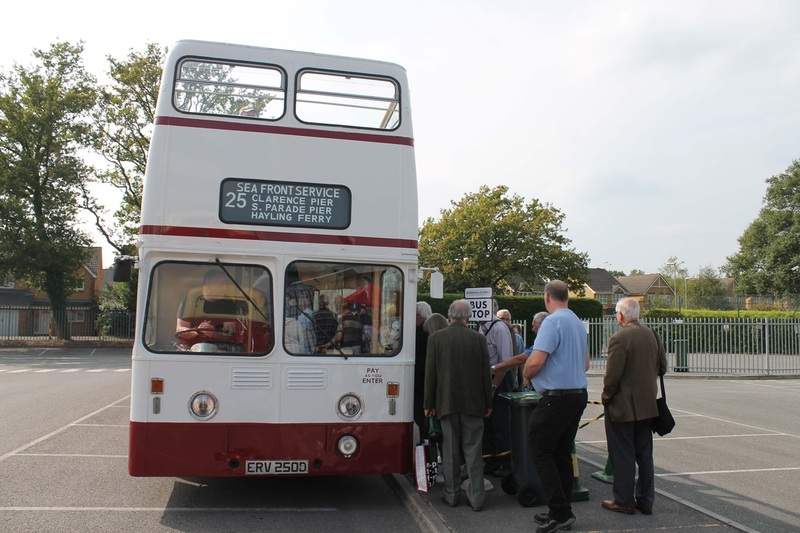 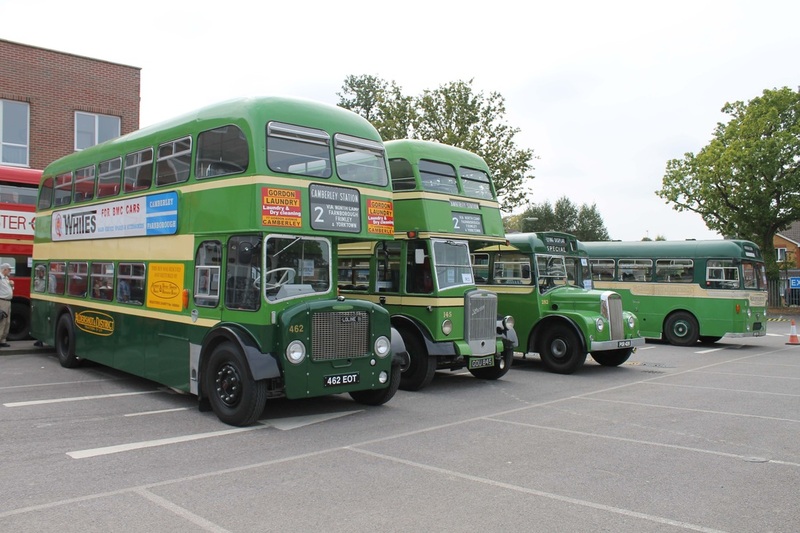 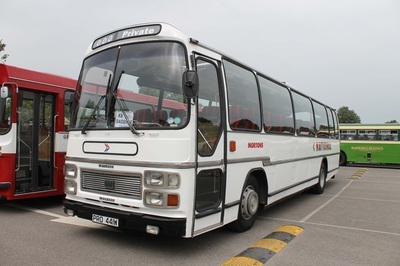 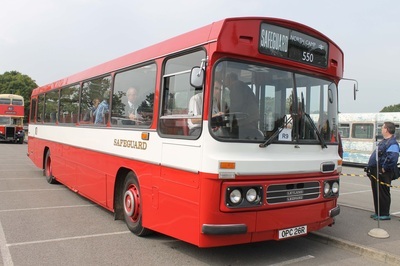 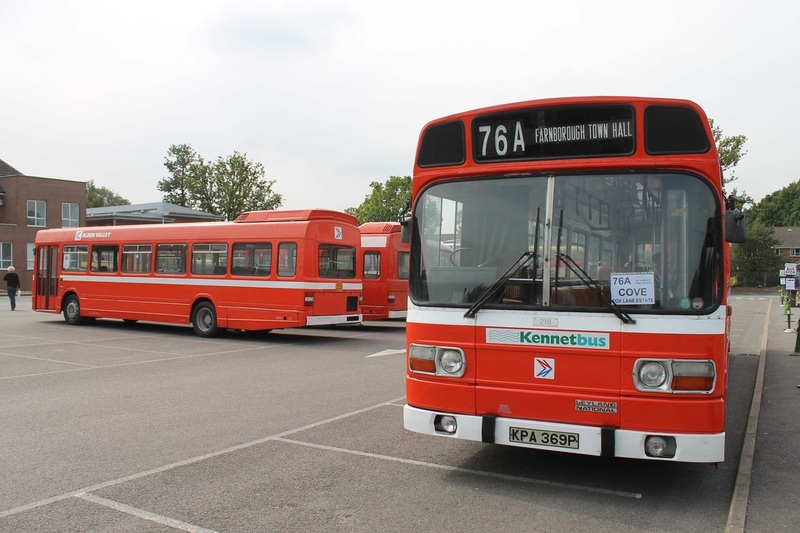 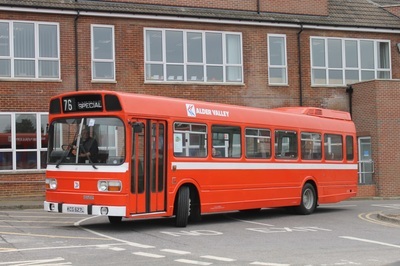 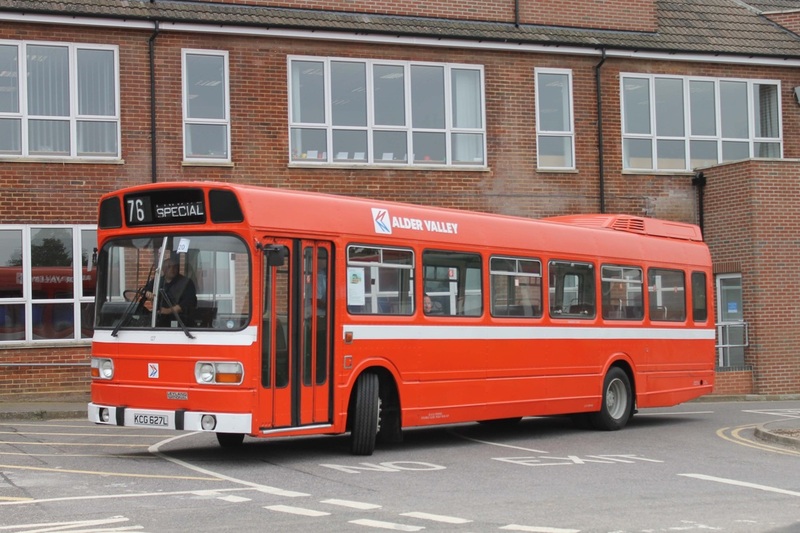 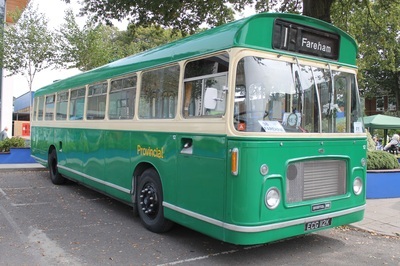 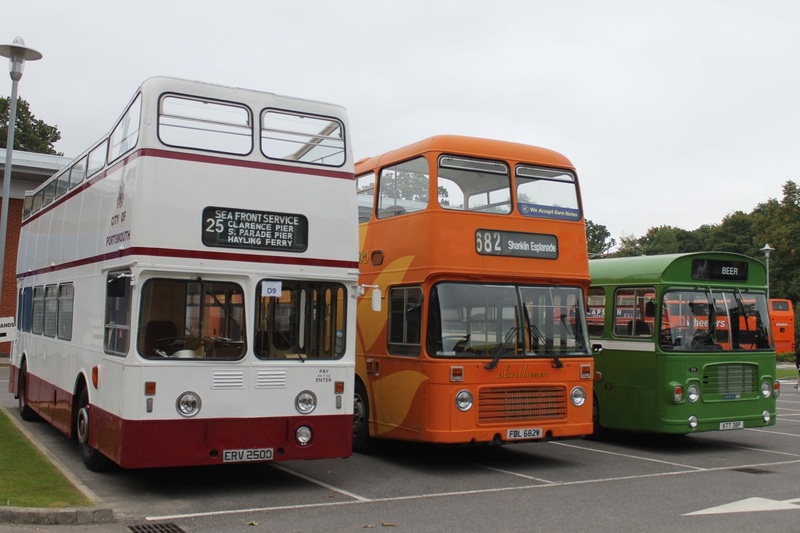 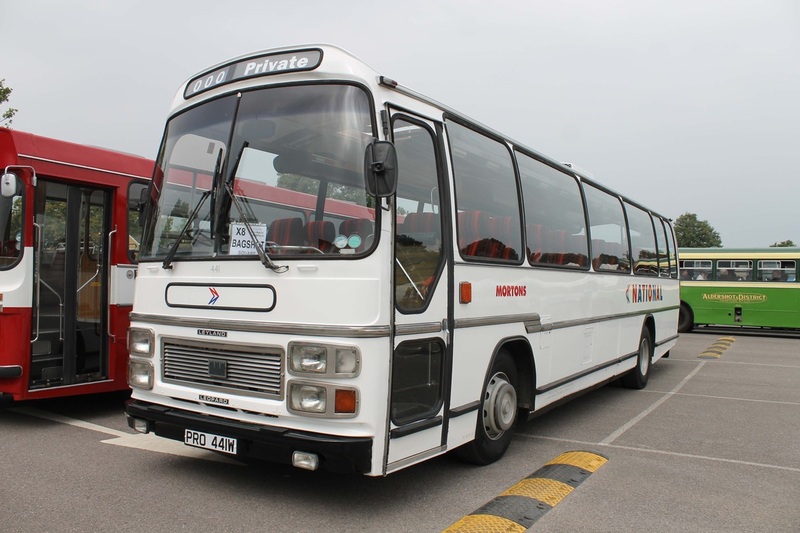 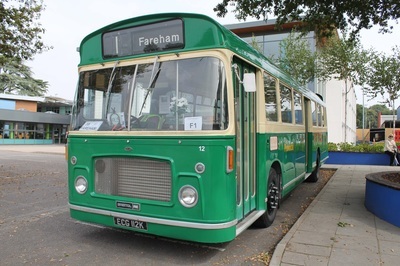 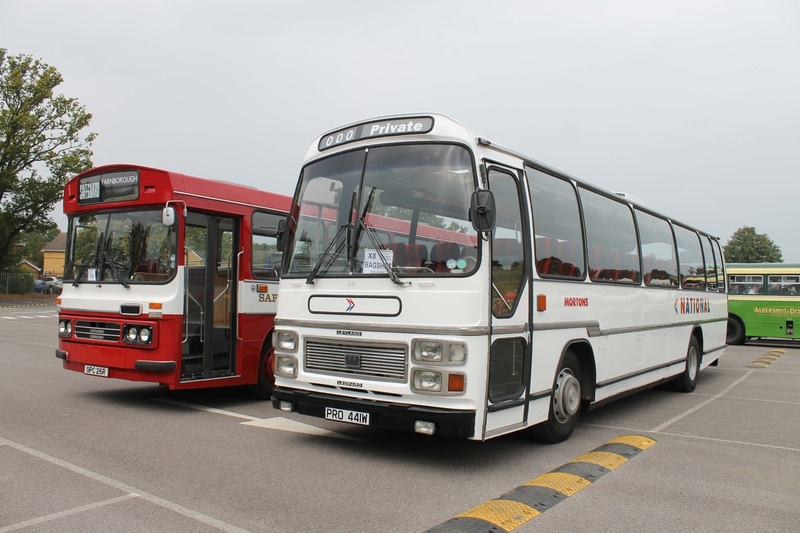 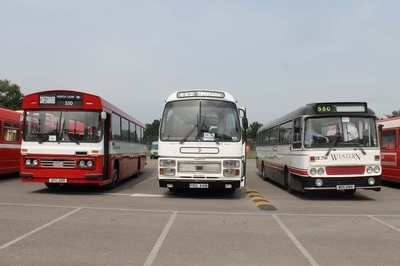 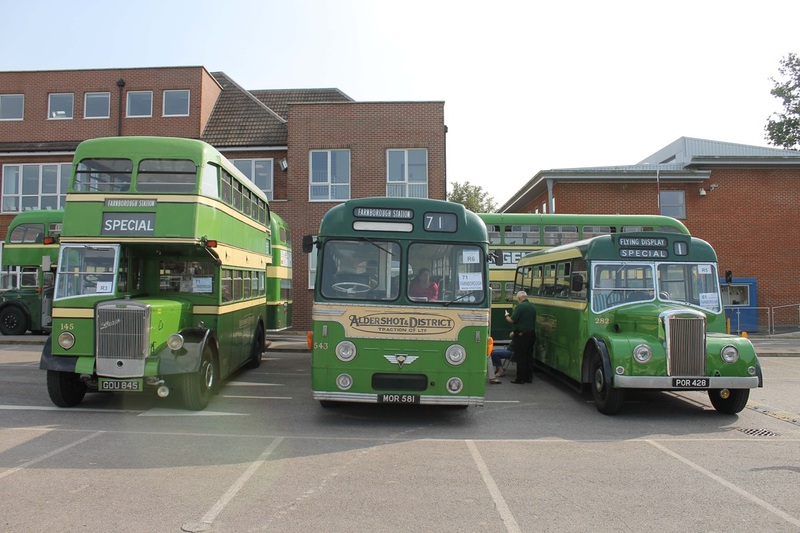 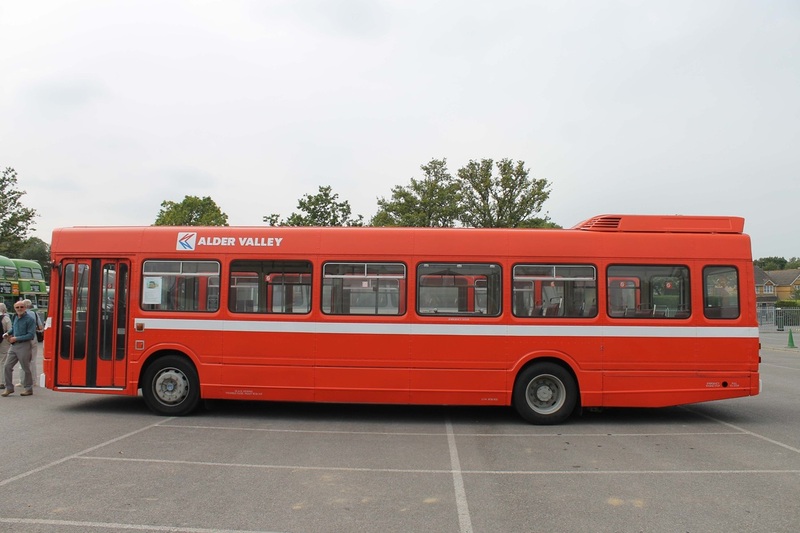 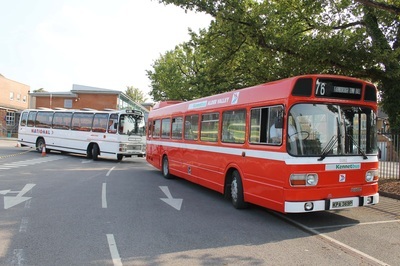 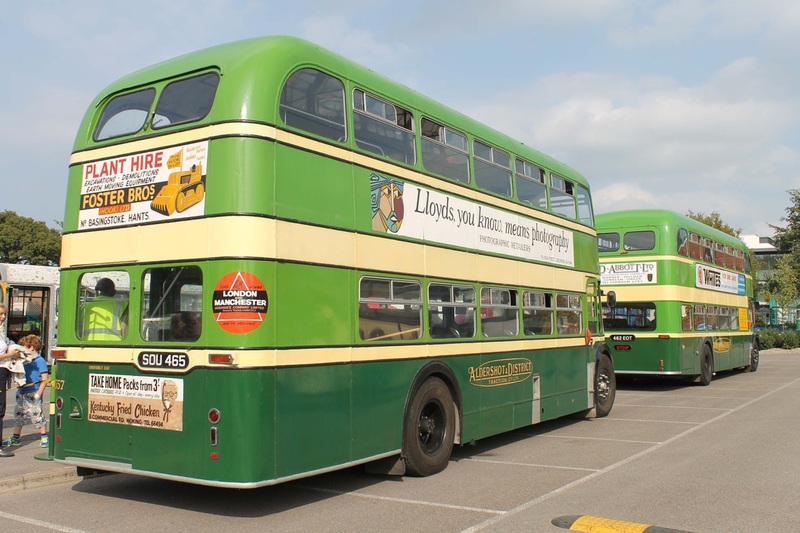 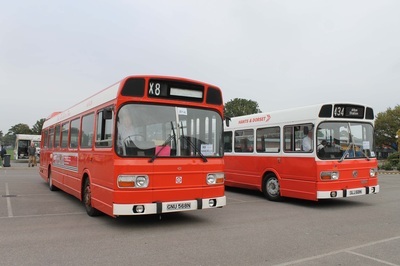 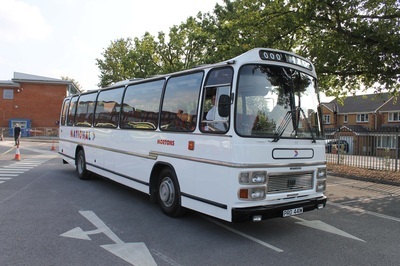 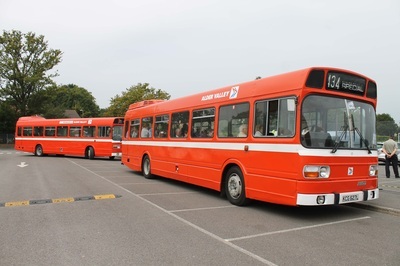 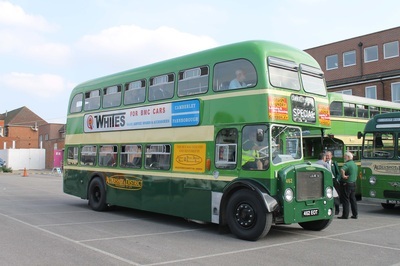 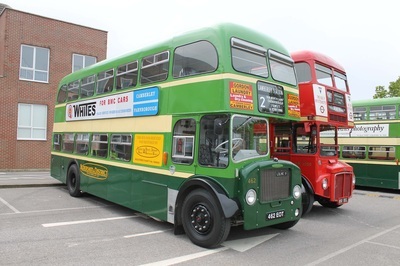 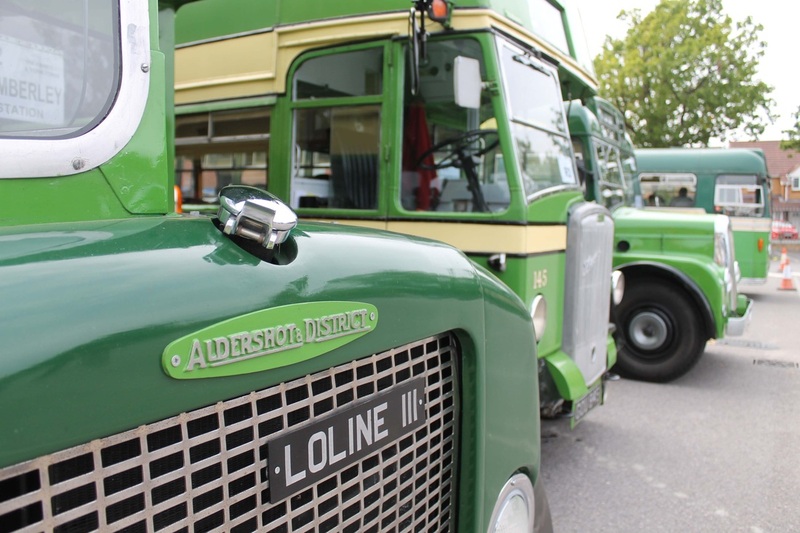 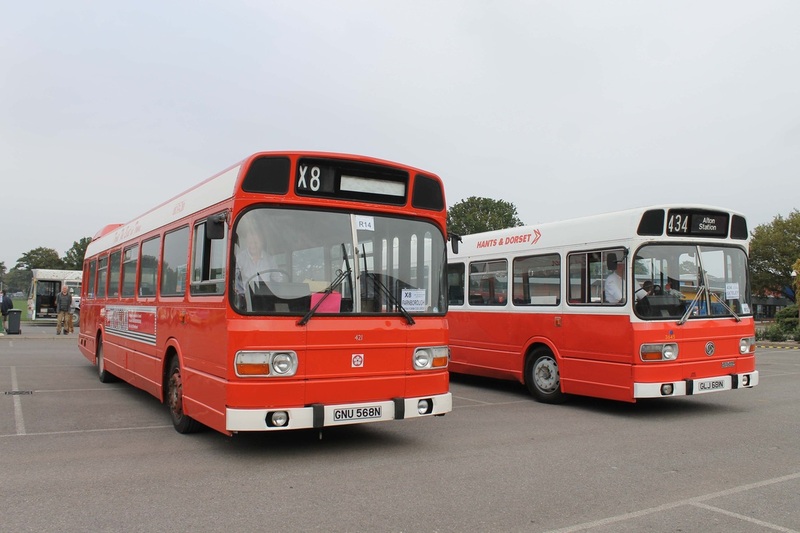 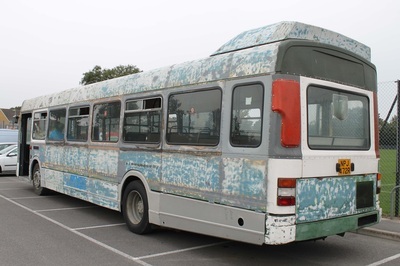 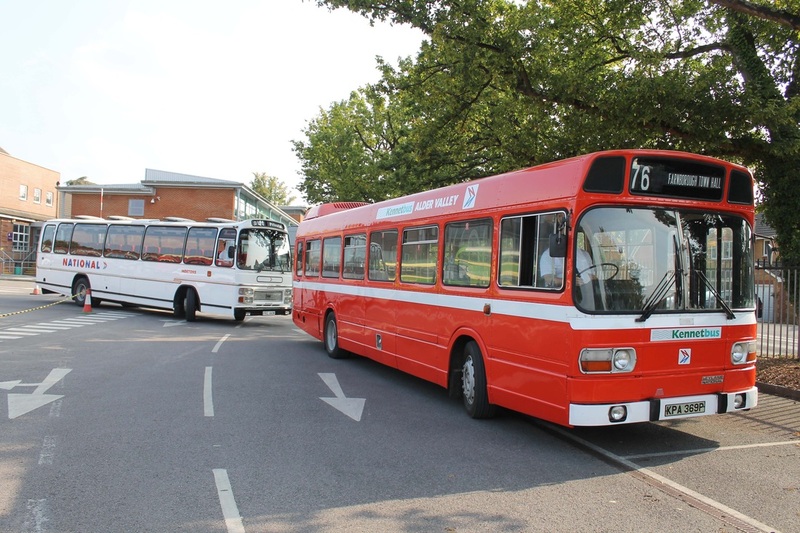 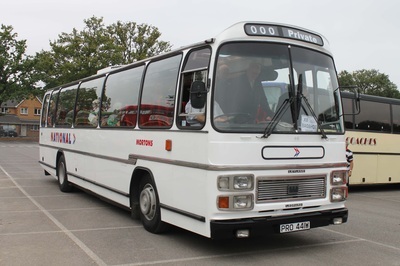 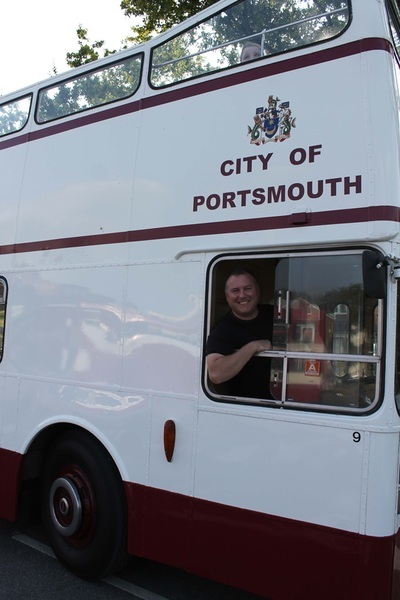 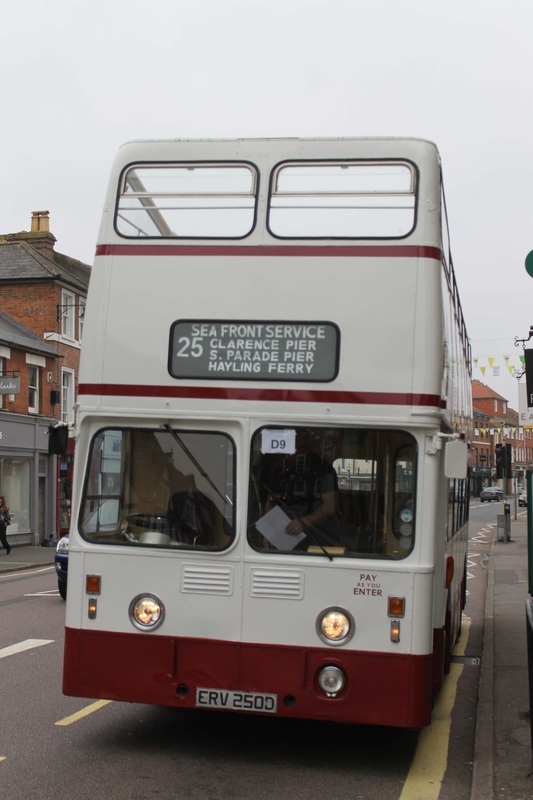 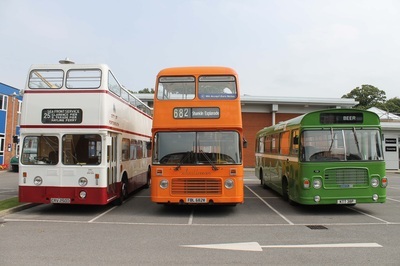 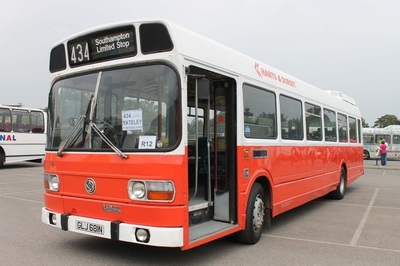 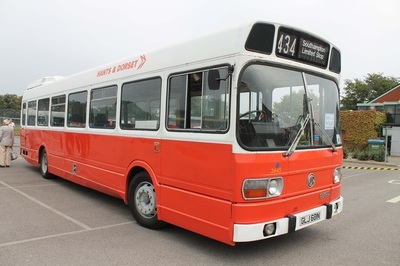 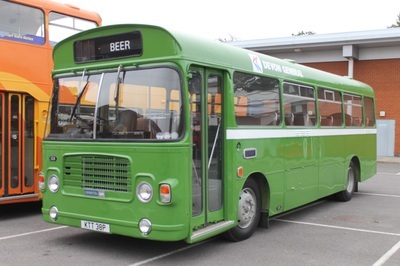 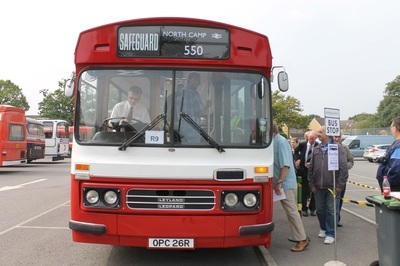 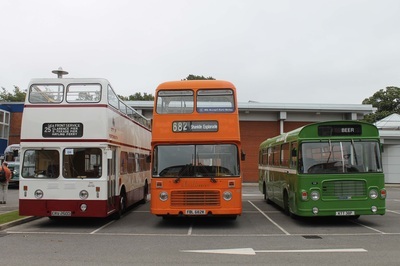 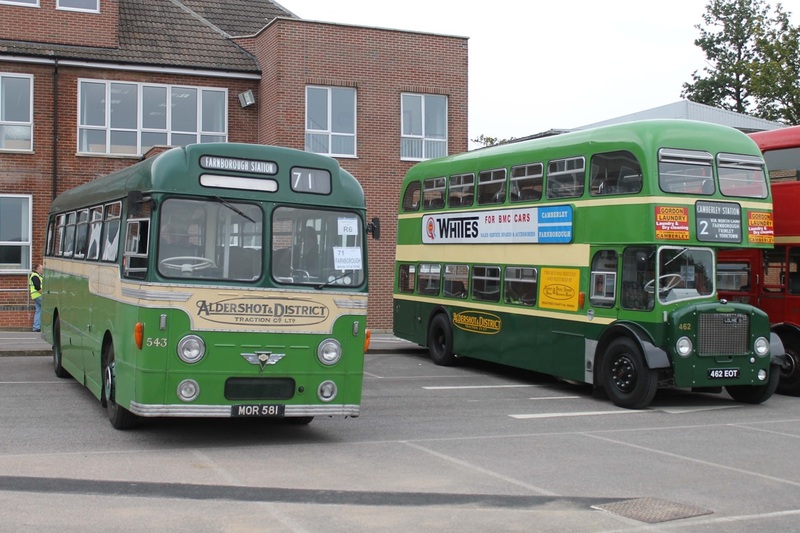 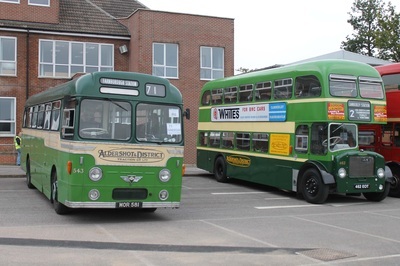 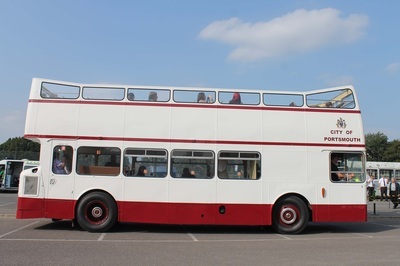 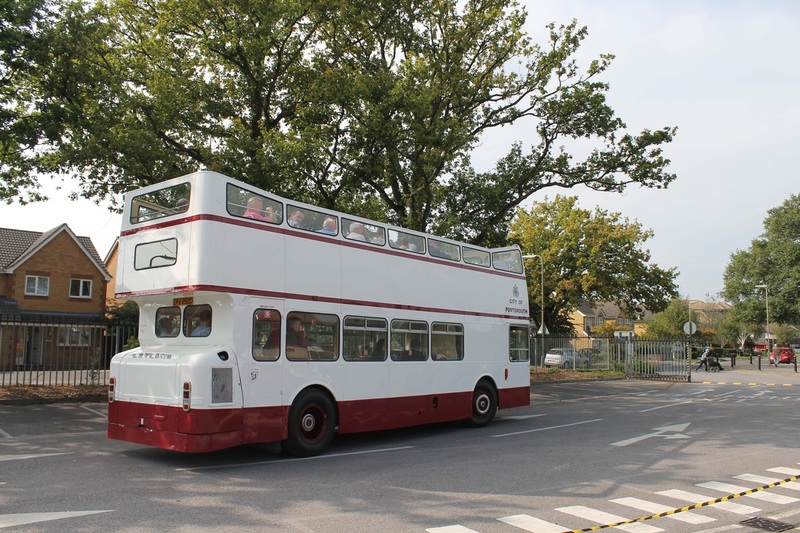 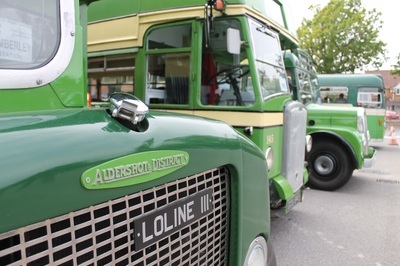 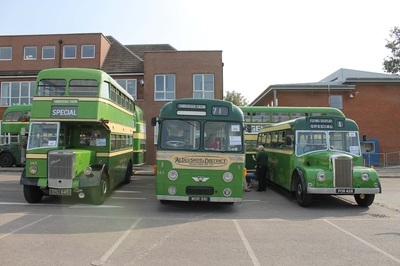 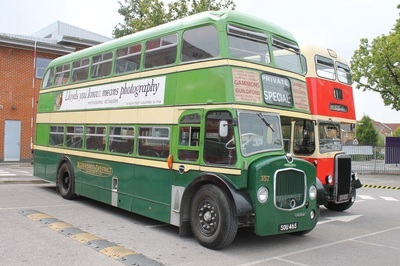 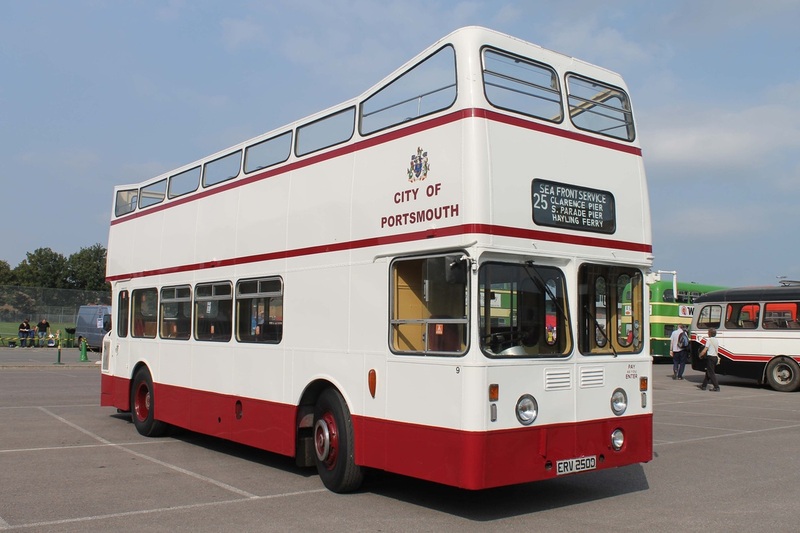 Also from our Hampshire Buses collection, Josh Mann attended the event with his Southern Vectis Bristol VR FDL 682V and Devon General Bristol LH KTT 38P driven by himself and Simon Kriesler.